In less than six months since its inception, the SHE team of Rajamahendravaram has come to the rescue of several women, including college students, homemakers and working women. 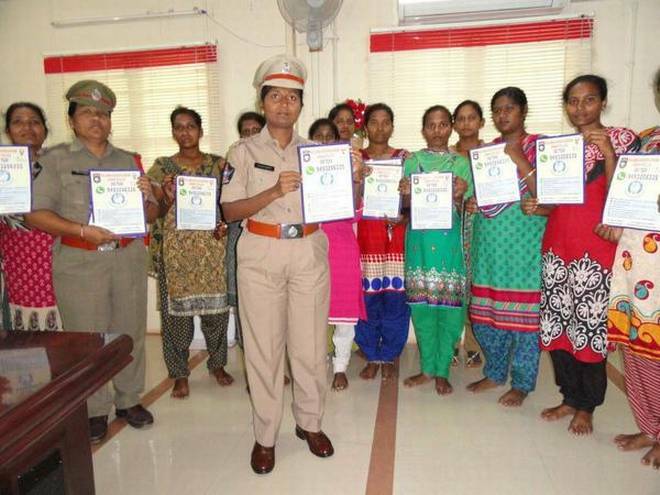 Rajamahendravaram Urban Superintendent of Police B. Rajakumari formed two SHE teams in July 2016 to check sexual harassment of women at public places and curbing eve-teasing. According to the SP, in the first month, they received a complaint over phone about an eve-teasing case from a college student, who used to come to the city from Seethanagaram. A few college boys reportedly followed her on bikes up to her house in the village and allegedly misbehaved with her several times. The youths also reportedly started roaming around her house during midnight. Even as she was planning to stop her studies, she came in contact with `SHE’ team through Whatsapp number 9493206335. A SHE team followed the girl from Seethanagaram for two days, and caught three youths along with their bike and booked cases under the Ragging Act. In another case, a woman from I-Town police station area complained that an eve-teaser from Tondangi mandal was harassing her over phone every night. The SHE team swung into action and nabbed the frequent caller. “We are going door to door and campaigning against eve-teasing, and continuing our watch on boys’ and girls’ hostels. Cases of eve-teasing on main roads, particularly near colleges, schools, ghats near river Godavari and other areas have come down,” said Ramanamma, ASI, who is part of the SHE Team. The SP said the SHE team received 866 complaints till December 31, 2016, of which 854 cases were given counselling. The police booked nine cases under Section 290 and registered FIRs in three cases.